By special invitation be an intrical part of Jamaican History at the Grand Opening of the Royal Indigenous Sovereignty Resort and Hotel at Accompong Maroon Town . Take a walk in history on a special tour of historical town, and enjoy the hospitality of a royal African people sovereign to region. Learn about indigenous healing practices of the Maroons, that have remained authentic to the African culture from where they originated. IMPORTANT. If you need to expedite a PASSPORT: Go to www.Travel.state.gov/passport to make an appointment . Make sure your passports are up to date or renew expired passport. Bring 2X2 picture, Marriage and divorce decree, drivers license and other picture identification to appointment. Accompong Maroon Town tour - Accompong can only be visited via special invitation. Visit our Holistic Resource Center for yoga and meditation accessories. 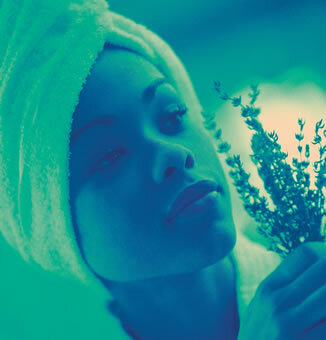 InSPAration - A momentous time of relaxation and rejuvenation.Pamper yourself with massages, facials, and more specialized treatments in the luxury of Jackie on the Reef in Negril: a full service spa resort on a cliff overlooking the tranquil Caribbean Sea. 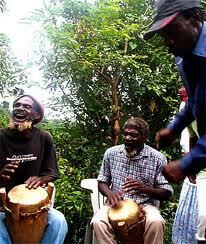 1) Stay in Negril for the entire time and pay $75.00 each way for transportation to Accompong for the holistic tour. Transportation is paid to and from the airport. 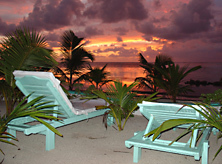 3) Split the stay between Negril and Accompong. Guest is responsible to pay for ground transportation from Negril to Montego Bay airport. 1) Stay in Negril for the entire time and pay $120.00 each way for transportation to Accompong for the holistic tour. Ground transportation is included to and from the airport. 4) Transportation only to Montego Bay at departure. The name Maroon refers to groups of people who resisted Spanish and English slavery -they defeated the English and gained freedom from being enslaved any longer. Today you'll find the Maroon settlement of Accompong perched high up in the mountains of St. Elizabeth in western Jamaica, bordering the western parishes of St. James and Trelawny. 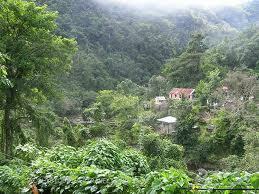 This state is a nation within the nation of the island of Jamaica. Its citizens are descendants of former runaway slaves who fled the slave plantations of Jamaica to form their own communities. They live on lands granted under a treaty and continue to practice and enjoy the traditional customs handed down to them by their African guerilla forefathers. Accompong was a supply base for the Maroons during their war for freedom against the British from 1655 until the signing of the Peace Treaty between both parties on March 1st, 1739. The hero of Accompong was Kojo, who led its armies during those war years and never lost a battle. Since January 6, 1738, when Kojo routed the British army and slaughtered every member within it except one, Accompong has never again had a battle on its soil. He requested this one remaining English general to take a message to the then governor Edward Trelawny that the British should send more soldiers, as the Maroons were ready to repeat their feat. There have been no murders in this community for hundreds of years since. The people of Accompong are law-abiding and trustworthy. Their secret name for themselves means "Mighty Friend," and indeed a Maroon is the best friend one can have. The land of the settlement is communally owned. A deep sense of belonging to a family prevails in this town. Life expectancy is high. An usually high number live to be over 100 years old. Many Accompong Maroons live vigorous lives into old age and perform grueling dances at festivals that would faze the youngsters of other communities. The Colonel is the Chief Leader of the town, elected every five years by a poll by ballots. He is assisted by a council of 32 members, men and women, appointed by him. The town's greatest event is the festival held every January to celebrate Kojo's Victory over the British that led to the Treaty. This celebration is planned to coincide with Kojo's birthday and emphasizes Kojo's remarkable leadership and the sacrifice he made fighting for his people for so many long, dreary years in this wild, rugged Cockpit Country. Thousands of people from all walks of life, Jamaicans and foreigners visit the town on the day of the celebrations. The celebration begins at approximately 10 a.m. with the sound of the abeng, the side-blown horn, the Maroon War Horn which has been in use in Jamaica for over three centuries. This instrument is made from cow horn and at full blast can be heard clearly over a distance of approximately 15 kilometers. The horn was used to communicate messages between Maroon communities. It calls Maroons to assembly and to contribute to Maroon funerals. It played and still plays a major role in many other Maroon celebrations. The abeng message is incomprehensible to non-Maroons. Throughout celebration day there is much feasting, selling of various types of goods and telling of folk tales and history. 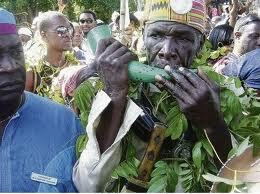 The highlight of the festivity is the reenactment of the war dances and Treaty Songs of the Accompong Maroons. Maroons in former times were skilled in bush medicine, and even today some use the different (bush) herbs of the land for medicinal purposes. The roots and bark of trees are also used to make Maroon drinks, which are always available at a moderate cost to visitors. Most Maroons still honor and respect their Heritage Treaty and customs. However, a small minority of male youths are desirous that these should cease and that the Accompong Maroons should now forfeit these privileges and customs and be totally merged into the tax-paying population of Jamaica. Such a suggestion will always be defeated by well-thinking Maroons, for it would dash to naught what past Maroon warriors--men, women and even children--risked their lives so desperately and arduously to obtain. The Maroons of today are still united in spite of minor differences and setbacks among some of them at times. All Maroon villages are united and vowed never to serve the British Monarchy. However, the Accompong Maroons have pledged to always pay due respect to each succeeding Jamaican government. People of good behavior are always welcomed to Accompong. The village has a tourist entertaining booth, and tourists, schoolchildren in large and small groups and other Jamaicans visit Accompong daily to hear the history of the past, to learn about the present and to see and know the Maroons themselves, for a lot of foolish sayings go around Jamaica about the Maroons, even in this time close to the 21st century. To learn more about the Maroons and their customs, visit Accompong on Kojo's Day, January 6th,...and see for yourself. This statement was originally published in the 1992 Festival of American Folklife catalogue; reprinted with permission from the Center for Folklife and Cultural Heritage of the Smithsonian Institution. Martin Luther Wright, leader of the Accompong Town Maroons, has held the office of Colonel for several terms. He also works as a farmer and is Deacon of the Church of God International in Accompong Town. As Colonel, he has actively promoted the Maroon cultural heritage of Accompong Town.